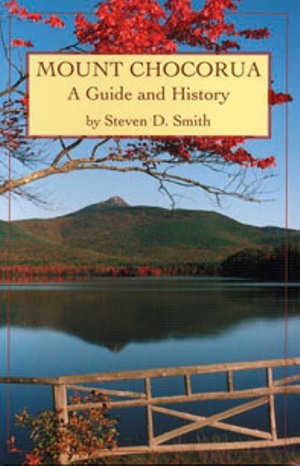 Mount Chocorua: A Guide and History, by Steven D. Smith, 2006. A guide devoted to one of New Hampshire's iconic peaks. Includes geography, natural history, nomenclature, detailed historical timeline, full descriptions of the many trail routes on Chocoura, notes on visiting in winter, a detailed view description, bibliography, and an 1892 article by Frank Bolles, "A Night Alone on Chocorua." Also describes White Ledge and the Chocorua Conservation Lands. Includes over 50 photos, featuring several vintage images. 168 pp., 5 1/2" X 8 1/2".